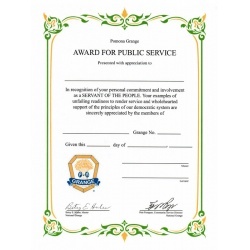 Public service certificate with presentation folder. 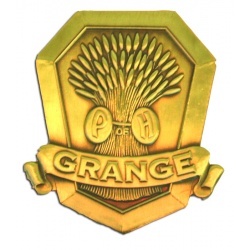 Additional charge for walnut finish plaque. 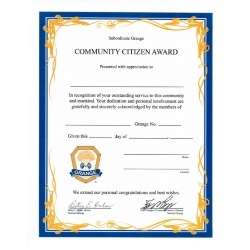 Community Citizen Award Wording: "In recognition of outstanding service to this community and mankind. 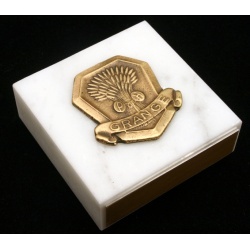 Your dedication and personal involvement are gratefully and sincerely acknowledged by the members of...."